As the second-most populated city in the United States, boasting nearly thirteen million residents in the metropolitan area and almost a quarter of that population within the city proper alone, the need for movers in Los Angeles is at an all-time high. With 88 incorporated cities in Los Angeles county, as well as several more unincorporated cities, you need a competent, dedicated team of movers to help make your move as swift and stress-free as possible. When faced with the task of moving, you could choose a national chain moving company, but why would you want to? The benefit of using local movers is clear: the customer is getting the same top-quality service which is to be expected from national, big-box companies with the added insight and knowledge of locally-based employees. Acclaimed Movers and Storage has been in the business of delivering top quality moves—on both a commercial and residential basis—for over a decade. 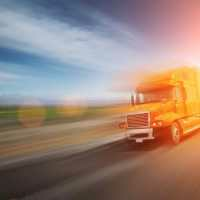 We are registered as a licensed and insured moving company with the Federal Motor Carrier Safety Administration, and we boast the coveted “A” rating with the Better Business Bureau. When you choose Acclaimed to take care of your move, you are choosing peace of mind. We make it our mission to deliver the stress-free moving experience you seek from a trusted, reputable, local Los Angeles company. Acclaimed strives to create a bond of trust with each and every customer so they can rest assured that their belongings and household goods will be well taken care of during their move. Our team of professional movers are qualified and well-trained to provide the utmost care and consideration for the possessions of our customers with every move, every time. We offer a free, no-obligation quote determined by our trained, professional representatives. The quote we give our customers is what we call a "Not to Exceed" price, which our employees can break down for you so that you know you are getting everything you need during your move for the price you want. Contact Us today to find out why we're considered number one in the moving business in the greater Los Angeles area. If you are new to the Los Angeles area, you may need a slight period of adjustment to the tremendous culture shock that awaits you in The City of Angels. Not unlike a Rubik’s cube, LA is a lexicon of personality with many different cultures all colliding into one densely-packed area. There are as many distinct cultures in this thriving metropolis as there are traffic jams, and one neighborhood can feel like an entirely different country than the next. A few little tidbits of knowledge that can help you feel like a native Angeleno from the get-go are knowing where to spend your days off. Being such a magnet for tourists, Los Angeles has a way of cradling the locals in secret while also catering to temporary visitors. One of the best ways to get to know the city is through your stomach. A good old fashioned American hamburger is a delicacy not to be missed, and you can find delectable ones at one of LA’s longtime local hamburger stands. Also, make sure to take a leisurely stroll along the waterfront and have brunch overlooking the surf. If you’re feeling weighed down by all the amazing dining options the city has to offer, don’t head to the grocery store for your fresh fruits and vegetables; make sure to stop at one of LA’s incredible, diverse farmer’s markets! California is a haven for fresh-grown, local produce, and by shopping at a farmer’s market, you are sure to get not only the most affordable foods available, but the freshest! Whether you are in the downtown area of in one of the beach communities, we are here to help! Our professional team of consultants are with you from the start with the first call. Our qualified, dedicated team at Acclaimed Movers have been doing this work every day for years. We have developed a system which allows us to meet your needs quickly and efficiently. We hold all appropriate insurances and have overseen the moves of some of the most influential people and businesses in the city of Los Angeles. Start now and give us all the information you can that will help us give you an accurate moving quote. We’ll get you moving! We have a trained, professional staff of knowledgeable employees, who are available to answer any questions that may arise before, during, or after a move. Our movers are a team of full-time employees, not day laborers or temporary help, and they are dedicated to the quality of every move, no matter how great or small. They're trained in the art of packing and wrapping, the disassembly and reassembly of furniture, and the handling of high-end items, like pool tables and flat screen TVs, as well as bulky or oddly shaped furniture. We provide our movers with top of the line, industry-leading equipment to enhance the quality and efficiency of every move, and they take the care to cover every floor, wall, corner, and stairwell passed during the loading and unloading process. Because our movers are locally based, they're experienced in navigating every obstacle, such as traffic jams, narrow or winding roads, custom architecture, and historical districts and homes. Acclaimed has a fleet of "green" trucks that run on bio-diesel fuel to help lower our carbon footprint. Our trucks proudly bear the Acclaimed name, and they're fitted with GPS units for to-the-minute updates during every move. We offer temporary and long-term storage options in a 100% secure, climate-controlled facility to ensure the safety and condition of every item stored inside. My moving experience with Acclaimed Movers in Los Angeles overall was pretty positive. They were on time and really helpful in packing and various kinds of stuff. Thank you Acclaimed Movers. Top movers in la, in my opinion. Acclaimed Movers in Los Angeles gave me a reasonable price for my move. Very efficient, professional, and courteous. Acclaimed Movers and Storage is definitely my choice in moving companies, especially out of all the movers in la. Highly recommend! Highly recommend Acclaimed Movers and Storage! They're the only movers in LA that gave me a decent quote on my move. They gave me some great instructions on how to start the move, as well as some tips on how to prepare. Workers are always professional and courteous.